Meet the amazing monster customers and try the disgusting food at Fuzzby's diner - the third book in this hilarious series from author and illustrator, David O'Connell. Roll up, roll up... it's CHIPS for everyone at the Monster Fair! Joe works in a monster diner flipping squashed-frog burgers and serving the best soggy boggy sausage to the monster customers. Now he and his monster friends are off to cook at the monster fair. But has Joe got the stomach for the Big Squeal, and the Splodgem Dodgems? 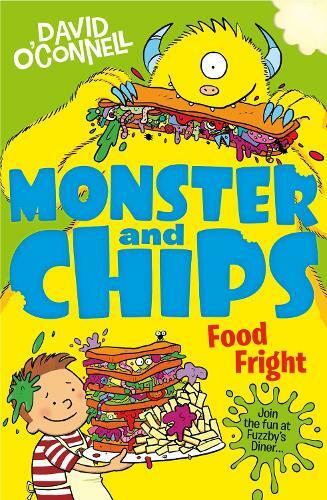 Monsters meets revolting recipes - all the right ingredients for a giggle-packed adventure.